Maserati, Official Car of the 40th Cannes Yachting Festival, joins in festivities with a range of test drives, media events with Giovanni Soldini and exclusive presentations. As the Official Car of the Cannes Yachting Festival, Maserati celebrated the historic festival’s 40th anniversary in style this week, putting on a range of special events – and bringing the full fleet in tow. 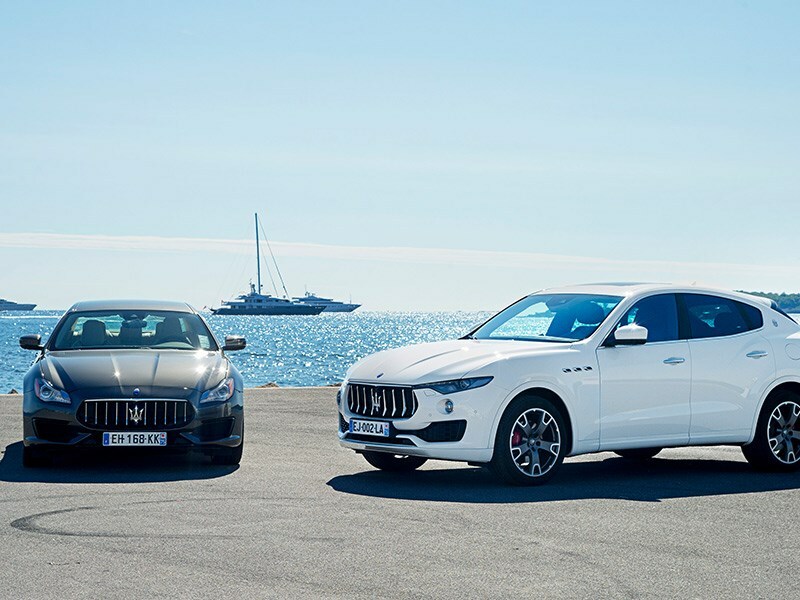 The complete Maserati range was available for test drives around the historic marina throughout the week –with the new Ghibli GranLusso and GranSport, Levante S, Quattroporte Diesel and GranTurismo Sport. Throughout the festival, Maserati was based at its 230-square-metre Maserati Lounge at the entrance to the marina, where hospitality was be provided for journalists and VIPs. The Lounge also displayed two of the marque’s current models: the Levante, a powerful yet graceful SUV featuring Ermengildo Zegna silk upholstery, and the Quattroporte GranSport, the quintessence of the Italian sports sedan. Giovanni Soldini – who recently sailed the Maserati Multi70 trimaran in the Transpac race in Honolulu – made an appearance in the Lounge to field questions from the press and take part in a video interview with Boat Show and Sky. The Maserati Lounge featured the latest creations from our partners Bulgari and Ermenegildo Zegna. Bulgari celebrates its partnership with Maserati with two exclusive new timepieces: the Octo Maserati GranLusso and GranSport. Officially unveiled to the public at the Frankfurt Motor Show, the beautiful chronographs perfectly encapsulate the commitment to elegance and excellence that unites the two brands. Ermenegildo Zegna, meanwhile, displayed its ZZ Capsule collection of high-quality nautical sportswear, popular with sailing devotees. As the Official Car of the Yacht Club de Monaco, Maserati has also showcased an historic Maserati 3500 GT Vignale Spyder (1961) at the “Monaco Classic Week – La Belle Classe”, the iconic exhibition that brings the full spectrum of the world’s most prestigious yachts together on the club’s Quai.